2049 sq. ft., +1000 in the finished walkout lower level, 4 bedrooms and 3.1 baths. Shiny hardwood flooring throughout the living room with fireplace and built-ins, dining area, and kitchen. Vaulted master bedroom suite offers 2 walk-in closets and a private bath. Walk-out lower level features a large rec space, full bath, bedroom and study. 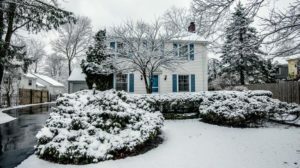 To schedule your private showing or learn more about 1309 North Bay Drive, contact the Ann Arbor Real Estate specialists with The Bouma Group today at 734-761-3060 or info@bouma.com. View photos and amenities for Hometown Village of Ann Arbor here! 2033 sq. ft., +960 in finished lower level, 4 bedrooms and 2.1 baths. Gorgeous Brazilian walnut hardwood flooring throughout the main level. Kitchen has shiny granite counters, a center island, and premium appliances. Family room with built-in home theater system, an office, and storage in the finished lower level. For more information or to schedule a private showing for 1652 Scio Ridge, contact Ann Arbor’s premier Realtor at The Bouma Group today at 734-761-3060. See photos and amenities for The Ravines subdivision here! 1857 sq. 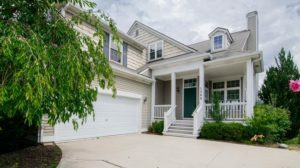 ft., +418 in finished lower level, 3 bedrooms and 3 full baths. Gleaming hardwood floors throughout most of the first level. Kitchen has white cabinets and new stainless steel appliances. Huge back yard with privacy fencing. 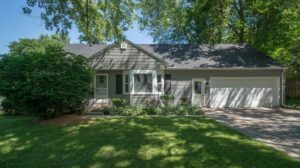 To schedule a private showing for 1607 Anderson Avenue or request more information for this Ann Arbor home, contact the real estate specialists with The Bouma Group today at 734-761-3060 or info@bouma.com. 3016 sq. ft., +2099 in the finished walk-out lower level, 4 bedrooms and 3.1 baths. Angled vaulted ceiling in the living room with a fireplace and wall of windows. Picturesque views of the wooded lot from almost every room. Lower level is finished with a huge rec/family room, multiple bedrooms and flex spaces, storage, and walks out the lush back yard. To request your private showing for 3080 Hunting Valley or more information, contact us at The Bouma Group, Realtors at 734-761-3060 or email info@bouma.com. 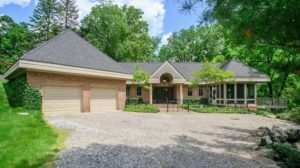 View photos and details for the Ann Arbor Hills neighborhood here! 3066 square feet of living space with 4 bedrooms and 3 baths. Vaulted living room, gracious formal dining room, and family room with fireplace and coffered ceiling. Kitchen has a hardwood floor, stainless appliances, center island, built-in desk, dining space. 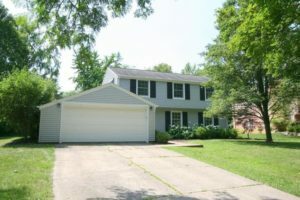 For more information on 3656 Whispering Oaks Drive or to schedule a private showing, contact the Ann Arbor Realtors with The Bouma Group at 734-761-3060 or info@bouma.com. View photos and details for Briar Hill subdivision here! 2280 sq. ft., +500 of finished space in the lower level, 4 bedrooms and 2.1 baths. Hardwood floors, arched doorways, coved ceilings, and a wood-burning fireplace. Formal living and dining rooms, plus a family room for more living space. 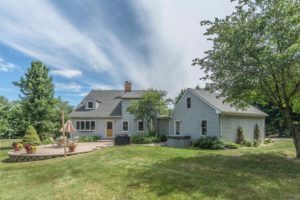 For more details or to schedule a private showing for 2402 Brockman, contact the Ann Arbor Real Estate specialists with The Bouma Group today at 734-761-3060 or email info@bouma.com. Learn more about the Burns Park Neighborhood here! 2075 sq ft, 4 bedrooms and 2.1 bathrooms, including a master suite. Formal living and dining rooms, as well as a separate family room, provide plenty of space for the whole family. Kitchen has a peninsula and is open to breakfast nook and family room with beams and brick fireplace adding a great deal of character. Large master suite with ample closet space, built-ins and private bathroom. 3 additional bedrooms and a second full bathroom, with double sinks, round out the upstairs. Contact the Bouma Group, Realtors to schedule your private showing today! Call us 734-761-3060 or email info@bouma.com. 4025 sq ft, with additional 1400 finished sq ft in basement, 5 bedrooms and 3 full and 1 half baths. Brand new 2 car garage with a 720 sq ft studio with full bath apartment above. Chef’s kitchen with top of the line appliances and custom cabinetry and soapstone counters. No expense spared in the complete renovation, new windows, electrical and plumbing. Schedule a private showing today for 1035 Martin Place – Contact The Bouma Group, Realtors at 734-761-3060 or email info@bouma.com. View photos and amenities for the Burns Park Community here. 4295 sq ft with an addition 880 finished below grade, 4 bedrooms and 5.1 bathrooms. Extensive molding though out the home. Beautiful wood flooring on the main level. Huge Kitchen with white cabinetry and stainless appliances and Granite countertops. Kitchen leads to spacious family room with 3 sided fireplace and 2 story ceiling. Schedule your private showing today for 2735 Walters Way – contact us at the The Bouma Group, Realtors (734)761-3060 or email info@bouma.com today! 2,590 sq ft with an additional 800 sq ft in finished basement, 4 bedrooms and 2.1 baths. Has both a formal living room and a family room with a wood-burning fireplace. Eat-in kitchen includes granite counter tops and stainless appliances. 4 spacious bedrooms upstairs with 2 full baths. To schedule a private showing for 1478 Mark Twain Ct – contact The Bouma Group, Realtors at (734)761-3060 or email info@bouma.com for more information.